The Battle of Xuân Lộc also known as "the last stand at Xuân Lộc", was the last major battle of the Vietnam War that took place in Xuân Lộc, Đồng Nai Province. Over a period of twelve days, the ARVN 18th Infantry Division attempted to stop three Vietnam People's Army (VPA) divisions from overunning the town. During the fight for Xuân Lộc both sides displayed feats of courage, leadership and determination. 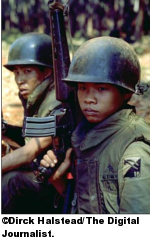 For the soldiers of the ARVN led by Major General Lê Minh Đảo in particular, the battle proved that they were determined fighters, contradicting reports in some Western media that described them as cowards. In regards to Saigon, General Văn Tiến Dũng planned to launch a five pronged drive on the South Vietnamese capital, but wishing to avoid the same level of destruction inflicted during the Tet Offensive. 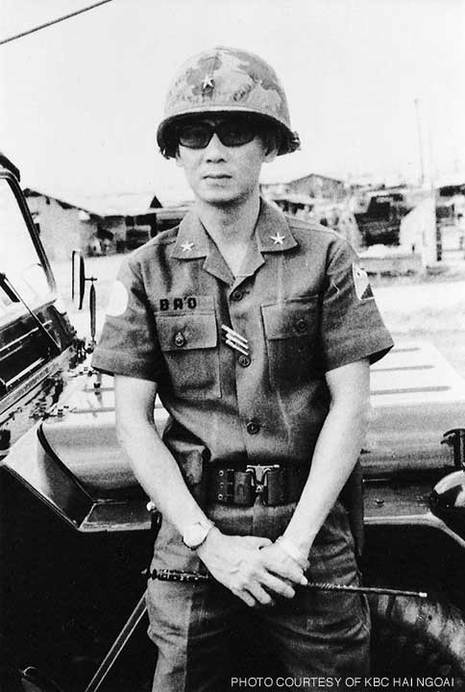 As a result, General Dung made a decision to throw his regular units against the Army of the Republic of Vietnam (ARVN), and try to destroy the irreplaceable South Vietnamese units to prevent them from regrouping in Saigon. Battle Of Xuan Loc is one great story not because many military tacticians, historians, or journalists have praised it for the successful outcome of one ARVN battered Division against four fully equipped VPA Divisions backed with Regiments of tanks and artillery. But all the pundits have missed the point. It was great because the spirit of men who made a stand and fight: In a circumstance when all ARVN senior and junior officers who participated in the battle knew so damn well that they had been betrayed by the US ally; when all the ARVN soldiers under their command had already witnessed the military debacle of their fellow comrades' units from the 1st and 2nd Regional Corps.